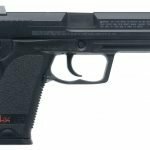 When purchasing a new airsoft gun for outdoors, the Crosman Stinger R34 Airsoft is one to consider choosing. It is lightweight, ensures accuracy on every shot, and has a removable stock for added stability and greater precision on every shot. It is also a cheap alternate to other guns, especially if you are just getting started, and want a gun which will provide you with the basics, and teach you how to shoot. So, whether you are with younger kids or out on the field of battle with the pros, the Stinger R34 Airsoft is a great gun to make use of. Although there are a few drawbacks and negatives about the Stinger R34 Airsoft gun, it is a pretty good choice for beginners and those who are avid airsoft gun war players. Although it may not be the best gun for experts (as it is not as advanced as others on the market), it is a good choice for those who are just starting out. At a reasonable price point, and with several great features to love, consumers are going to find that this rifle is a great choice for outdoor gaming. 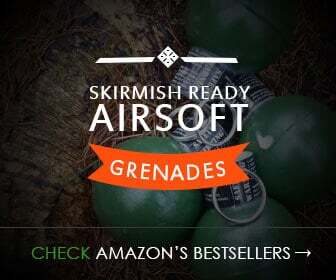 And, for an extremely low price (in comparison to other similar rifle guns), you are not going to find a gun that is more accurate or easy to work with than the Stinger R34 Airsoft. If you’re still looking, read our best airsoft assault rifle guide here. 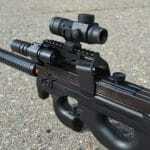 Great power, pull back airsoft gun, ideal for beginners and pretty accurate. Holds a fair amount of pellets (so you are not going to miss a shot, or run out of pellets in the middle of a big match). Other guns on the market are better manufactured.